India’s online retail industry has been in turmoil since the government implemented stringent new rules to rein in major players like Amazon.com Inc. and Walmart Inc.’s Flipkart. 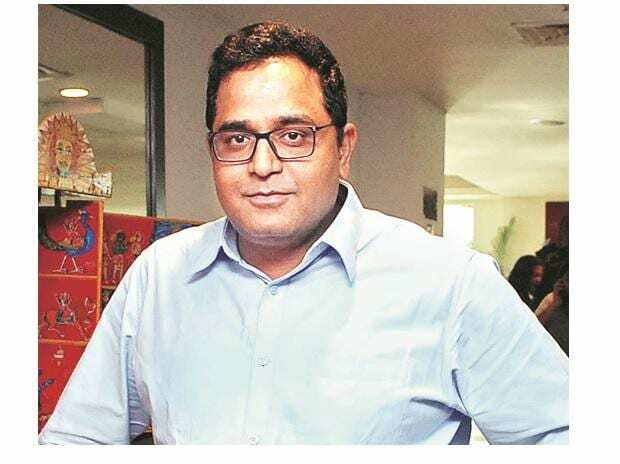 Amid the uproar, Vijay Shekhar Sharma -- whose two-year-old Paytm Mall is backed by Alibaba Group Holding Ltd. -- is quietly devising ways to outstrip his rivals. The new regime forbids retailers from holding any business interest in online merchants on their websites, exclusive arrangements and deep discounts -- forcing Amazon and Flipkart to redraw contracts and rescue thousands of product listings that vanished overnight. The founder of Paytm Mall operator Paytm E-commerce Pvt, an affiliate of India’s largest digital payments provider, spoke in an interview this week about how his business stands to gain. What’s been the impact of the regulations on your business? The new rules require more stringent adherence by e-commerce marketplaces. For some of us who have been compliant all along, this gives us an opportunity to consolidate the business while rivals are otherwise busy. It’s attracting to our marketplace those partners and sellers who were fighting online retailers that skirted rules and threw money in the market. We’ve become a far stronger player. Our cash burn has come down. We have just turned net contribution positive. We are now at $3 billion GMV (Gross Merchandise Value) annually. Our focus is on growing the market by converting offline partners to online retail. That way we are bringing newer users to transact on the app. Getting users to shop through our app has become our most important performance indicator. We are primarily an Offline to Online, an O2O platform. Instead of having unorganized online sellers on our platform, it’s better to get organized offline sellers to come online. So we are bringing stores and shopkeepers from the physical world to sell online. We are strictly about quality and select cross-border items. We have three categories of app users: buyers visiting offline stores and not finding the size, color or variation and going online on our app to place an order. Stores shipping directly to buyers through our app. And stores buying wholesale from our platform for sellers. What kind of retailers are you signing up? We have cracked a deal with Kishore Biyani of Future Retail and we bring a huge amount of traffic to his online store. Similarly, we have deals with Tata’s Croma stores and Reliance Retail. We have every kind of retailer from small neighborhood stores to large chains. How will the new rules affect others like Amazon and Flipkart? In order to follow the rules in intent and spirit, their models will require a fundamental change. Right now they are finding workarounds. We are happy that the marketplace model prevails. The government’s made its intentions more than clear -- it does not want those with foreign investors to do multi-brand retail. It doesn’t want them to influence pricing. It doesn’t want them dumping money in the form of discounts. All of this has been the playbook of many players. The new clarifications make it amply clear that their model has to change. Amazon is said to be in discussions to invest in Future Retail. We have had no equity sale discussions with Future.